If you love the PS4 and can’t stand Xbox stuff, enjoy your romance. While I will make some references to both machines, it is not meant to be derogatory but informative. 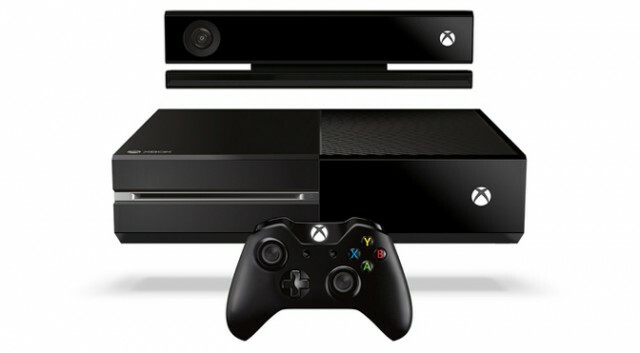 BLUF (Bottom Line Up Front) – The Xbox One is a great machine with a ton of potential. It will eventually realize said potential but for now it’s good and borderline annoying at times. That time will shrink considerably depending on the release dates of the games you want to play. In today’s NFL, the expectation is that rookies should come into the league contributing to a team and winning football games. The higher the draft pick, the higher the expectations. Last year, Andrew Luck was drafted first overall by the Indianapolis Colts and for the most part lived up to those expectations. He led the Colts to the playoffs and while they didn’t win, it was a sign of things to come. Even in his second year the Colts are off to a great start. Continuing with the football analogies, the next generation is starting with the PS4 and Xbox One. Sure you COULD consider the WiiU, but it’s more like last gen than next gen so I will not discuss Nintendo’s offering further. In this metaphor the PS4 and Xbox One are Andrew Luck and RGIII respectively (the WiiU might be Brandon Weeden). I compare the PS4 to Andrew Luck as the PS4 is highlighting its focus on games. Andrew Luck is a prototypical pocket passer with a very high IQ ala Peyton Manning. Conversely, the Xbox One began its media campaign touting all of the extraneous things that it can do as a machine and then showed off some games at a separate venue. Robert Griffin III (RGIII) has a cannon for an arm AND can run like nobody’s business. RGIII is supposed to revolutionize the NFL and Microsoft hopes the X1 does the same thing both for the gaming industry and the entertainment industry. 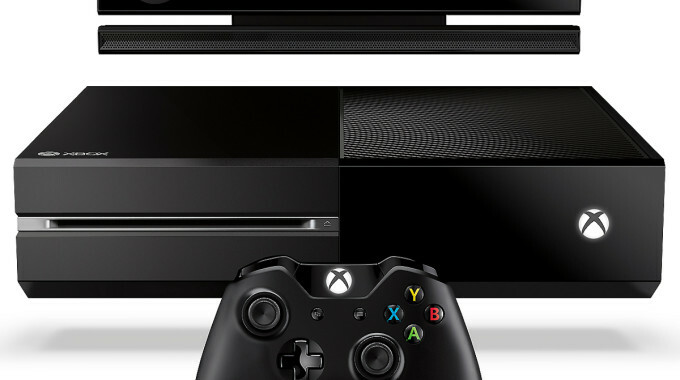 The Xbox One comes with one machine, Kinect 2.0 and a controller for $499. The PS4 comes without a camera (Kinect) for $399. For further comparison, the Xbox 360 launched for $399 and the PS3 launched for $599 in 2005 and 2006 respectively. Consoles are complicated computers and while I’m not excited about the cost, when I consider that a decently equipped gaming PC could end up costing four times that price and last me half as long as a console, I’m not complaining. I don’t drink coffee and I haven’t drank sodas since I was 14 – I take that money I save and put it towards gaming. Right now I’m in the black. Unboxing the system was easy. I was able to score a Day One edition and honestly aside from superficial styling, some avatar goodies or achievement, I can’t tell much of a difference. The Kinect fits on a shelf above my TV and thankfully the cord is generously long. I would say at least 6 ft but probably more like 9 ft. I have a home theater so it is resting on top of my center channel speaker (more on that later). The console is larger than the Xbox 360 but smaller I would say than the original Xbox and can not stand on its side. It looks good in black and has replaced my Blu-ray player. I moved my HDMI for my DirecTV box from my receiver and put it in the Xbox One (HDMI in). I then plugged in the Xbox One’s HDMI out to the receiver to complete the daisy chain. I used a CAT5 cable for internet as I don’t want any interference for online gaming, though the Xbox One does come with Wi-Fi built in. The OS at initial startup needs an update from Xbox Live. Thankfully I don’t live in Okinawa any longer or I would still be waiting for it to finish downloading. Microsoft did have a way to download the patch to a thumbstick pre-Nov 15th in the event Xbox Live (Microsoft’s gaming network) went down but it was unnecessary. It was a substantial patch, but the 450 gigs went quickly. While this is inconvenient, I completely understand the logistics of the process. Microsoft has attempted to fix early supply/demand issues that have plagued previous system launches by shipping a system earlier to get ahead of the logistical curve. This is a good move by Microsoft in my opinion knowing that people who were early adopters most likely will get on the internet. I expect that the strategy will work and in future builds will be less necessary as they preload system patches on shipping consoles. Once I got online, my fun deviated from the typical gamer experience. What is supposed to happen is any current Xbox Live customer signs into his/her new console with an email and password. The Xbox One then downloads the profile and voila, gaming can commence. That didn’t happen to me and I will take some of the blame. I have a lovely wife and three minions who live with me. I love them dearly and they tolerate me most of the time. During those times of epic tolerance, we will occasionally play games. Since the Xbox 360 allows for individual profiles (and my reluctance to have minion #2 constantly changing my avatars/spartans to pink females), I created Xbox Live accounts for everyone. The Xbox Live Family program grants four gold passes for less than the price of two so it was a deal. And before you go all crazy math on me, the youngest minion only has a local account. Anyway, one of the great features that Xbox put in place is this family plan. As a parent, I can put gaming limits on said minions while blocking friend requests and explicit content (including voice chat from the unbathed masses). This seemed like a win-win. Then came some security issues. Microsoft requires an email account for all gamertags. If you don’t have an email account at the time of creation, it will create an email for you whether you like it or not. And you don’t get a say as to what it is at the time of creation, so one minion is something like lodgedhelmet02851@xboxlivefamily.com (notice I said like). Who remembers this garbage? Why not make it my GAMERTAG that I created to the tune of gamertag@xblf.com? It should be unique because the gamertag has to be unique. But I digress… some more. Recently security efforts have stepped up to ensure phishers aren’t hacking accounts. One of the measures is to ask for a good contact email for each account. Well, since my kids are gamers and not emailers I gave the system my email for each one. I thought this was for the system to contact me, not for identification purposes. A few months ago we had an issue signing the senior minion into my console. The system kept asking for his email and password, neither of which we knew. At first I could override that because I am the parental unit/primary account holder but it was an issue I wanted to fix. After several emails and phone calls to Microsoft, we came to a resolution – all family members could sign in with their crazy emails and corresponding passwords. Disaster averted. Fast forward to Launch night, maybe 0100. I’m ready to go and I enter my info for my account and the system asks for an adult. What? I’m the adult. I try again. It states that my gamertag is associated with a youth and I need an adult’s permission to get on. Remember my email that I typed into everyone’s account? *Facepalm. While I should have tried to contact Microsoft again (during launch night, shah), I was more inclined to try my hand at creative problem solving. I looked online at some forum posts but ultimately downloaded the wife’s profile then granted myself permission to play on the Xbox. Yes, insert kitchen pass joke here. Thank you better half for permission to play my games and I will always love you. One interesting (and disturbing) thing that Microsoft is doing put me out. The way the system recognizes that the wife is a parent is that it charges a credit cart $0.50 each time you ask for parental permission to download a profile. I don’t know about you, but that’s ridiculous. I don’t understand what it’s doing, but I do know it’s doing it. The system states that the charge is mostly going to charity and I’m all for charitable giving, but I feel like I’m held hostage by my gaming system. I just want to play games. Alright, I have the system hooked up and I’m ready to go and I want to play games. Xbox One launched with nearly two dozen games and this is very good from a quantity standpoint. To go a little further into it, games are either exclusive or nonexclusive. This means that some games will be available on most consoles like Madden football or Call of Duty, but some games will be exclusive to a specific console like Halo on the Xbox. Both PS4 and Xbox One have exclusives and oftentimes these games are system sellers. That said, I don’t think many systems were sold this year because of exclusive games with a few exceptions. To illustrate my point, we’ll get in a super Delorean and go back in time. When the Nintendo Entertainment System launched in the 80s, it came with Super Mario Bros. Everyone wanted to play that game (we STILL want to play that game). Then Sega released the Genesis and it came with Altered Beast which wasn’t a bad game. When the original Xbox launched, Halo was there on the shelf to move the system, and boy did it move it. When the Xbox 360 launched, I hoped that the new Halo would be a game called Perfect Dark Zero. It wasn’t. One game that did impress a lot of people though was Call of Duty 2. When I think back on it, I probably played a puzzle game called Hexic more than either of those two games. Despite not having a fantastic launch game, I loved the Xbox 360 from the beginning. Why? Because it had a large portion of original Xbox games from the get go and in some cases the 360 made them better. Halo 2 from the original Xbox and now played on the new Xbox 360 was actually on a superior wireless controller in HD. I had a library of games to play and I was set. Historically there have been some good games, a few great games, and a number of ok games with each launch. I think this generation’s crop is similar. Many popular franchises brought out next generation offerings on both systems but few of them took advantage of the hardware changes. In general, any fledgling system is going to have growing pains. The game developers need to know what the system can do while still making money developing games for the established gaming systems. For example, in 2005 EA published Madden 2005 and everyone expected that the game would be SO MUCH BETTER on the Xbox 360 than on the original Xbox. It wasn’t for a number of reasons, but a major one was because EA would sell 10 times as many copies of the Xbox version than the 360 version. Couple that with the fact that building games takes tools and an understanding of the hardware and it isn’t an easy thing. Going back to the quarterback situation, while Andrew Luck may have more raw talent than Peyton Manning, Manning has years of experience and it pays off. Peyton can read a defense and make adjustments like no other because he’s familiar with his system. He knows his own offensive strengths and can tailor his plays to work magic on the football field. Likewise, game developers have had eight years with the current Xbox 360. They are familiar with the current generation hardware and can do amazing things with it. Conversely, they have had Xbox One systems for barely any time (less than a year) so the developers can’t maximize the games yet. I picked up two games, Forza and Killer Instinct and both are exclusive. Forza Motorsports 5 is a racing game and looks amazing. The game uses many of the new controller’s enhancements, specifically the rumble in the triggers. When you’re braking you feel the left trigger rubble like ABS and I love it. The minions thankfully will not be driving anytime soon but they do enjoy the driving dynamics and crashing their cars. Another neat deal with the game is the Drivatars. Using magic and “cloud tech” after you race a few races, Forza creates AI drivers based on your own techniques. So far three of us have played the game and when each of us race through the career single-player mode, the other two’s cars are there competing (or trying to wreck me). Minion #1’s camouflage Subaru is a treat to see in the races and makes for a surreal experience. There are hundreds of hours available on this game if you want to race or design cars. Some people are upset because previous iterations of Forza had both more cars and more tracks. This is a consequence of the new tech again. Forza had to make the car and track models over again because the tech allows for greater technology. Just like when Blu-ray disks were released, it took time to remaster movies for them. Studios couldn’t simply record DVDs onto Blu-ray and be done. And it isn’t like playing Cruisin USA with a dozen cars (which was epic) – Forza has 200 cars and more to come. My other game that I “purchased” was Killer Instinct. It’s a remake of a fighting game of the same title from the early 90s. I say purchase because I downloaded what is effectively a free demo but I can buy a copy of the game for $20 on XBL (Xbox Live). The game itself is pretty good but this is where I show my snobbery. I dislike immensely using a standard controller to play fighting games. I am enjoying the demo, but it’s going to take a number of hours north of a dozen to get comfortable. The alternative is to purchase a Tournament Stick for the Xbox One but at $200 apiece, that’s a lot of money (or coffees not partaken). What’s REALLY frustrating is that the previous generation sticks use a USB connection, the same as the Xbox One, and it is not an option. I hope that this is fixed in the future as some arcade sticks have been compatible with 360 and PC in the past. One thing about the Xbox One that I love is how convenient it is to purchase games. I purchased both games from XBL and downloaded them straight to the box. Since you have to install each game to play it, I figured I would forego the physical scratches on my disks that ruin them anyway and stay digital. It has an additional consequence. Since the games are installed from a digital copy, I can go straight to it without inserting a disk. The Xbox 360 had the same functionality for any game that was digital, so it’s not unique but it’s still awesome. As well, I was able to start playing the game prior to it completing the download. At about 35%, the game told me “ready to play” and I was able to start up. The system OS is snappy and brought me to the game quickly. In fact, all the apps are quick and responsive (for the most part). So that brings me to the OS. It’s very similar to the 360 in layout and it’s clean. 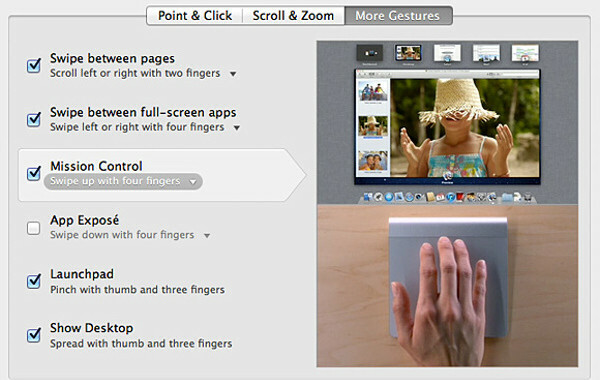 It can multitask very well and I haven’t had many hangups with the OS. I have had problems figuring out what to do or how to do things in the system, but we’ll get to that in a bit. Since day one I have adopted the all-or-nothing approach for the console, or as Yoda would say it “do or do not, there is no try.” The device comes with the Kinect so I am going to use it. However it’s not perfect. So far I can talk to it and it gets a lot of what I say right, but sometimes it doesn’t work. It’s like Siri (Apple’s iPhone assistant) in that regard, and I think the system will only get better. But for something that the system is designed around, it’s not perfect. The first night I used the Xbox to watch TV but I didn’t have a way to tell the system that I have an A/V receiver. Everything goes through the receiver but I couldn’t initially find the settings to set it up. The next morning I did (call it sleep deprivation) so now I can say “Xbox, volume up” and the volume does up on the receiver. While it’s novel, I can see using “Xbox mute” more often and thankfully that is an option. When we come into proximity of the sensor i.e. the living room, the Kinect does sign me and the minions into the console automatically. That’s pretty fantastic. However, my minions now all want to talk to the Xbox One and when it doesn’t work, they just get louder and louder (like Americans in foreign countries) but the Xbox is frustratingly inconsistent with its responses. Saying “Xbox Pause” multiple times during Pacific Rim does not impress the wife nor me. The Watch TV app was easy to set up. A few steps allowed me to tell the Xbox One my provider, my cable box type and my channel lineup based on my location/zip code. The DirecTV, along with my other devices, is controlled by the Kinect using an IR blaster. Simply stating “Xbox, watch ESPN” changes the channel to ESPN and it works as consistently as the rest of the Kinect commands (again, I have about 90% accuracy – minions are about 20%). OneGuide is an extension of the TV app. It allows me to pick my favorite channels and they are there in one place. I have no idea what 97% of the channels I have on my DirecTV lineup as I want to watch the four networks and ESPN or NFL only (Sunday Ticket FTW – free with a new signup). This setup has those shows right there in one place, and that’s a plus. Another crazy thing that is awesome is the “snap” command. The Xbox One allows me to pull up any app on the side of whatever I’m currently doing. Minions watching My Little Pony on Netflix that were previously interrupted by the Buckeyes now can only be mildly inconvenienced as I check scores. I am talking over their program and may lead to future griefing as they think it’s fun to turn off the Xbox with their voices, but that may only happen once (wink wink – the Xbox asks for conformation on that request). A couple of other apps worth mentioning are Twitch and Xbox Fitness. Twitch is an app that allows you to watch other people playing games. While that may not seem like your cup of tea, it is a fascinating experience observing live play of some games you are considering purchasing. I saw a beta test of Diablo III, Reaper of Souls and it was pretty great to just veg out and watch someone else do the work. It could get addictive and it certainly is informative. Then there is Xbox Fitness. This is a free app for XBL Gold members and it is basically P90X, Insanity and a few other fitness programs wrapped up with the Kinect Sensor. The Kinect tracks my movement and sends feedback in the form of “great form” or “raise your legs more” during exercises. I did have to stream all of the content, but it’s a different way to utilize the gaming console. When I did the movements correctly, I gained “fp” like playing a game of Rock Band or Guitar Hero. The fp is probably fuel points but I have no idea. Anyway, at the end of the workout it gives a summary so next time I’ll try and beat it. One note – it’s not the entire program but only a taste of each. I hope that they will expand their library in the future. The Blu-ray player is an app that you have to download separately (why it’s not part of the day one patch is beyond me). It works well as the movies are crisp and look great. What doesn’t look great is the DirecTV feed through the Xbox One. While my sample size is small, I am a bit concerned that the programming coming through the Xbox One is somewhat diminished in clarity. I still have some experimenting to do and it might be me being picky, but I have noticed a softened picture. Right now the Xbox One can control my whole system. It’s really wild but I didn’t think that it would do it day one. The wife thinks I’m nuts for talking to the TV, and maybe it’s the “command voice” but it can be great. When you walk in the room and say “Xbox On,” it’s straight out of Back to the Future as the TV, Xbox, DirecTV box and A/V Receiver turn on. Now, the receiver may be on a different input (Apple TV or Xbox 360 – more on that in a second) so there’s that, but it is a pretty big step in automation. “Xbox, Turn Off” does what you would expect and everything goes off. Why do I still have my Xbox 360 hooked up to my entertainment center? It’s because I have to in order to play some of favorite games. My biggest gripe bar none with the Xbox One is its lack of backwards compatibility (ability to play Xbox 360 games on the Xbox One – think Blu-ray player playing DVD or CDs). I understand that the new system has different internal guts, but Microsoft is THE software company (sorry Apple). The Xbox One has multiple OSes running at all times – what’s one more? Couldn’t they have written code to emulate the 360? Is there an app for that? Again, I don’t get it. The controller has a lot of potential. I love the trigger motors and I’m meh on the bumpers. It is a lighter controller and that’s a plus. The D-pad (the cross on the left side) clicks and feels a little stiffer. It has lost some things though. The 360 controller had a light ring that let me know which controller went with which player. This is extremely convenient when trying to help three minions be the right Spartans (oftentimes for dress up) or more likely when playing Minecraft finding which screen to help the littlest minion build another house with her name on it. Instead, the controller has an infrared-type thingy on it so the Kinect can recognize the controller. It uses this in conjunction with the facial recognition to pair up the controller with the player. This is cool but I can’t see infrared. And even more annoying is when Dad comes in to save the day, the Kinect cries foul. It seems to tell me to give the controller back (or something like that) as it pauses the game to ask who has the controller. I may be able to change that setting, but since I’m not exactly sure what it’s doing we’ll see. Speaking of settings, the Xbox One seems to be very lean on them. I’m looking for an advanced or administrative tab but I haven’t found it yet. Maybe it’s an app I have to download. You know how I had the issue with getting online with my gamertag, well the device thinks that I am minion #1’s first name. Xbox.com addresses me correctly. My Xbox 360 knows who’s paying the bills. But the Xbox One thinks that I have an identity crisis. 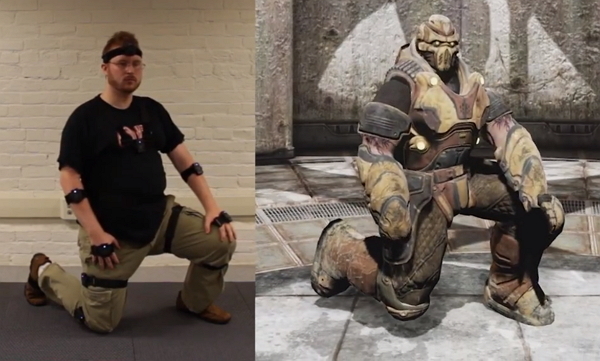 Maybe I do and the Kinect can see into my soul, but more likely I think some bits have been switched. And I can’t find on the Xbox where I can correct it. I also haven’t synced my universal Harmony remote with the Xbox One yet. Why would I do that? Because having a state-of-the-art system that only you can operate is a no go. It’s going to take some programming if it’s even possible but we’ll see. Lastly, where’s the screen saver? I mean, it came in Windows 3.1, but seriously? I learned in the 80s while playing in an arcade that static images can be harmful for a display. Maybe it’s there and I haven’t waited long enough for it to come on, but it’s a risk I’m not going to take on my own equipment. Google doesn’t offer any resolution, thus I am forced to act as if it doesn’t exist. Call it R2T2’s Wager. When Peyton Manning took over the Indianapolis Colts, they didn’t win hardly anything. It took them a year or two to become perennial contenders, but they did and it was a phenomenal run. Fast forward to the Colts QB transition and Andrew Luck took over for Peyton. It was a messy transition. Peyton is having an MVP season but the Hall of Fame QB is a little long in the tooth. So maybe it is time for Luck. Luck doesn’t have the experience of the veteran, but he has the tools to be successful now. The Xbox 360 wasn’t the system that it is today right out of the box. Microsoft did some great things with both major and minor semiannual updates throughout the lifecycle of the system. I expect that they will do it again with the Xbox One, refining and polishing the OS and overall game experience to a mirror finish. Speaking of games, for me it won’t be long for those next generation games to arrive. The major Xbox One exclusive that everyone is talking about is Titanfall. March 2014 will be a big time for the Xbox. Spring will also have Destiny (or at least its beta) the new game from former Halo developer, a Plants vs. Zombies FPS and I’m sure a few more. Is the Xbox One a great system? Yes. Should you get one? I have no idea. It’s not going to make your dreams come true or help you realize some existential life goal. It will however allow you to play next generation games and also do some other amazing things in the process. Let me know what you think, and hopefully I’ll see you on Xbox Live.